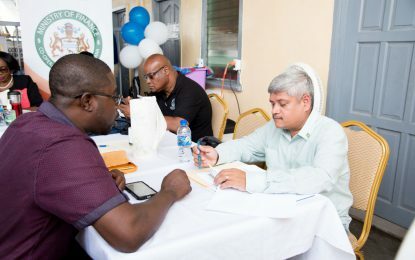 In keeping with the Coalition Government’s plans to transform Guyana into a green economy, as outlined in the Green State Development Strategy (GSDS), the Ministry of Public Infrastructure today signed a Solar System Memorandum of Understanding (MOU) with the Organisation of American States (OAS) and the Inter-American Institute for Cooperation on Agriculture (IICA). CARICOM has been a strategic partner in facilitating the realisation of the Solar System MOU. [In the photo, centre] Minister within Ministry of Public Infrastructure, Annette Ferguson. Chief Executive Officer of Guyana Power and Light, Albert Gordon. Representative of CARICOM, Dr. Devon Gardner. Representative of IICA, Wilmot Garnett. Minister of Public Infrastructure, David Patterson and Minister of Agriculture, Noel Holder. Representative of OAS, Jean Dormeus. The OAS representative categorised the project as one that “will go down in history as the fruit of a partnership model” after commending the various partners on board. Minister of Public Infrastructure, David Patterson and Minister of Agriculture Noel Holder were also commended for partnering with the OAS in bringing the project to fruition. “Personally, I could feel your leadership radiates through the meetings I had with executives in your ministries and their dependencies,”, Dormeus stated. During his remarks, Minister Patterson reiterated the government’s commitment towards going green. Further, Minister Patterson commended the efforts taken by Guyanese towards using renewable energy and energy efficient devices in both their homes and businesses. It is on this note that the Public Infrastructure Minister stressed the need for a multi-collaborative as Guyana moves forward. Speaking of the critical role energy plays concerning the country’s agricultural sector, Minister of Agriculture, Noel Holder noted farming activities will eventually move more inland due to rising sea levels brought about by climate change. “It is not feasible to carry transmission lines hundreds of miles for hundreds of people or thousands of people… if you are going to move your agricultural base in-land, bearing in mind the movement towards e-technology, energy becomes critical”. This momentous move by the Coalition Government ties into its commitment towards moving the country to 100 per cent renewable energy by 2025. 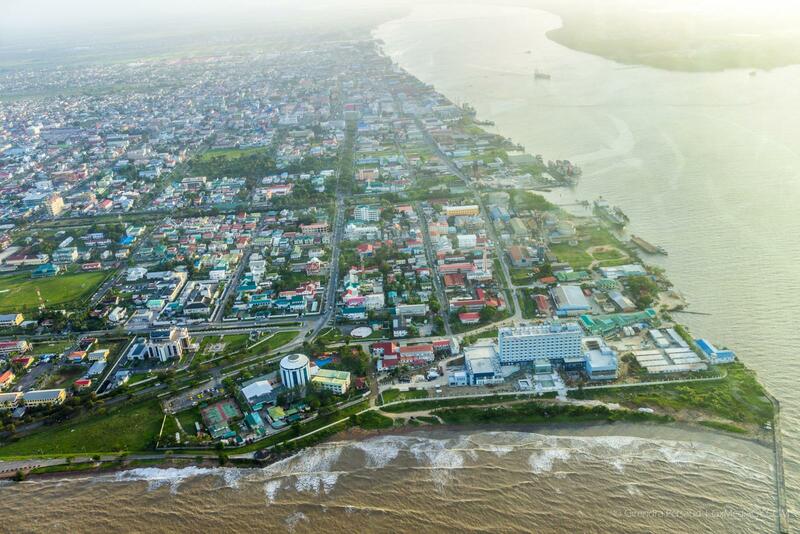 It is also synonymous with Guyana’s international obligations on achieving Goal 7 of the United Nations Sustainable Development Goals (SDGs) which aims to ensure access to affordable, reliable, sustainable and modern energy for all.